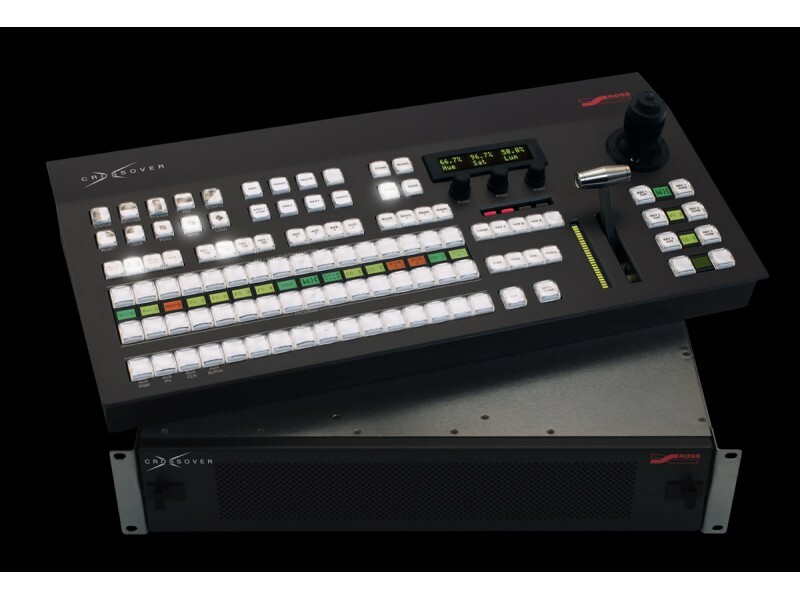 The Ultimate Crossover, the same rugged reliability but with additional control features; It has 16 source buttons for instant selection without shifting and beautiful full color mnemonics for source and key naming. It also has a 3-Axis joystick positioner as well as additional buttons in the transition area for direct access to advanced media wipes. 1.THE CROSSOVER LINE | Budget sensitive and professional grade. 2.MADE BY ROSS | Designed to an exceptionally high-standard of performance and quality. 3.HIGH END 3-AXIS JOYSTICK | Position wipes, patterns, washes, and DVE effects. 4.SOURCE MNEMONICS | Show current source names for every keyer. 5.DEDICATED CUT AND AUTO TRANS | buttons for rapid live keyer control. 6.LEGENDARY ROSS FADER | Robust and Guarantedd for Life! 7.TRUE NEXT TRANSITION AREA | Rapid selection of all keyers with full preview. 8.HIGHLY VISIBLE MENU | Intuitive auto-follow menu. 9.DIRECT ACCESS TO MEMORIES | MemoryAI Recalls make for impressive productions. 10.MENU CONTROL | Extremely straightforward access to sophisticated capabilities. 11.MACRO NAMES | Give macros names for worry-free recall during live productions. 12.POWERFUL MACRO EDITING | Easy to create, amazing to use. 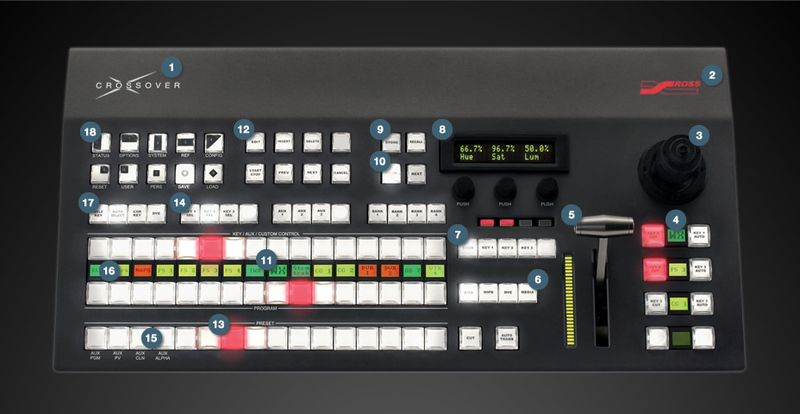 13.16-WIDE SHIFT-FREE BUS | Direct access to every external and internal source in the switcher. 14.TOP BUS DELEGATION | Reassign the top bus to keyer, aux bus, or macro recall control. 15.PANEL GLOW | User-adjustable for various lighting environments. 16.SOURCE MNEMONICS | Name sources, select text size, choose color and even invert. 17.KEY TYPE SELECTIONS | Choose between self-keying, linear keying, chroma keying, and DVE picture in picture keying. 18.MULTI-PURPOSE BUTTONS | Quickly select patterns, DVE effects, memories, media, or menu functions.